A bit of a travel addict, I’ve visited all 196 countries and usually can be found spending New Years Eve in places most people think are a bit nuts. Last five years were Somalia, Iraq, Afghanistan, Gabon, Guinea Bissau, and Libya. Completed my goal of visiting all 196 countries in September, 2016 and had a big celebration in Iceland with a large group of the best family and friends a guy could ask for. When not traveling, I can usually be found playing hockey, scuba diving, as well as breaking all the rules of what being a responsible adult means! I love seeing places by doing – things like climbing a mountain, running a marathon, and really getting a feel for a place is what life is all about to me. Museums, “must see” monuments and guidebook attractions are all nice, and I fit in as many as I can, but I’d really rather just get “into” a place and see what it’s all about. Some of my best trips have been when I just walked out the door of the hotel in the morning, and wandered until the sun set. No better way to get into the feel of a place than by walking around. So cool! Did you quit the Bank? Finally fed up with all the *****. How long are you going to be gone? Dara – Nope, just took a very long leave! Was gone just over five weeks. Fascinating blog…!! Good luck on your ‘visit all Countries’ quest. Just a bit freaky that my name’s Jason too and I’m a marathon runner and I travel the world as well..
What is it you do for a living that allows you this kind of flexibility? I’m curious too, I’m looking for a job or something that let me travel without worry about having enough money to live… How can you do it? pleas tell Us the secret!! AWESOME! jason i live in guyana south america i was googling pics of Kaiteur falls and i saw this white guy lol so i found this page and i just have to say wat you’re doing just totally rocks!!!!! living life to the fullest bro keep it up! when i grow up i wanna be just like you! Awesome! My wife and I have a more modest goal of visiting 100 countries and we’re about half way! Keep it up! Found this via FlyerTalk, the thread on traveling to Iran. I like to travel, but am not as ambitious, though I do plan on hitting my 50th state before my 50th Birthday and my 50th country this year. I like your criteria, as I struggled with a few. So I visited the GDR in 1984 way before the wall came down, so that counts, right? Of course – the beautiful thing about counting is that you can make up your own rules! Hi, I am Woong from South Korea! I am planning to leave for a trip all around the world in June and your blog has given me some ideas and inspirations! Hope someday you take your time to travel in Korea. It is such a beautiful country! I randomly got here… great travels, lists, and countries!!! you’re so cosmopolitan…. hey but why not Mongolia was singled out there 🙁 our country is great!!! Mongolia will be this summer for the Namdan festival I hope! Great blog and so glad to find others who are trying to visit every country in the world. Though I’m a bit behind you…63 countries at age 31. Got a few more to catch up on. 63 at 31 is still extremely darn impressive, and definitely ahead of where I was at 31. Keep at it! I subscribe to many travel blogs and I must say you are the Best! I enjoy your unbiased opinions and truthfulness. Your accompanying photos with your travel tales are very entertaining. Hope your wanderlust never diminishes. my name is David. I am an aviation and travel enthusiast with 100+ countries visited worldwide. I live in Iceland and I have here a small tour company. Please let me kow if you have plans to visit Iceland – I can show you some off-the-beaten-track sights. One of my new favorite travel blogs now!!! When will you do Mauritania? I just booked it for December. Thanks! I’ll be there in just over a month! Cannot WAIT to see your take on it. There is very little written online about it, as I’m sure you know! I’m having a hard time finding NKC-DKR flights..Nouakchott to Dakar. At least for December. Any intel you can bring back would be appreciated. Love your blog. Have you thought of compiling the ultimate Travel Tip article? Out of all your adventures, which airlines/aircrafts do you recommend, things to avoid at all costs, etc? Definitely something I’ll get around to when I have some free time! Glad I stumbled upon your blog. Looking forward to following along your adventure of seeing every country in the World! Any idea of where you go from there after that point? Or just focused on visiting every country first? I’ll figure that out in a few months after Iceland. I have a few really fun trips I want to do and have put off because I’ve been using all my free time/money to finish the countries. Congrats mate – off of ’em nailed down now! Jason, just found your blog – can’t stop reading (just as impressive as your LinkedIn profile) !! Keep doing what you are doing!! Thumbs up!! Haha drop me a message – I have no idea who this is! We haven’t met before; I was just curious what you do for living that allows you to take so many work related trips – now I know thanks to LinkedIn. Once again, your travel stories on this blog and your resume, look very impressive! …btw, when is Iceland? Absolutely – feel free to use it and attribute it with a blog link. Also – please share the article when done, I’d love to read it! 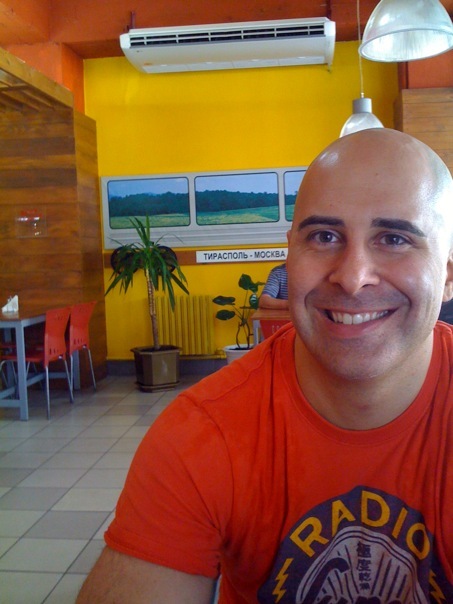 Jason – Would you be willing to share how much per person you paid for your Turkmenistan tour? Looking at the same company and wanna have a baseline for cost. It was around $900 I believe, and that included the hotel upgrades. Hi Jason – I am going to the Guianas in December and would love to know how you confirmed your trip to Kaiteur as none of these tour agencies or air companies were able to confirm anything for me on my said dates. Also, how much was Trans Guyana charging for a flight back when you were there? Their price is $180+$13 departure tax now. I just found your blog last week and I really enjoyed reading #businessclass entry..really great insight with lovely explanation, pictures for us who can never even dream to board business class or first class seat ! nice to know you have visited Malaysia, my beloved country..
You should write this article. At the very least I think you should contribute. I bet some of those Somali airlines should have made this list. Thanks for the idea David – I should do more global reviews and such! I’m shy of 50 countries so I’m not too interested myself. I am going to add 3-4 more (Chile, Falkland Islands, Argentina, and Uruguay) in the next month. I always enjoy your blog! Keep traveling. Thanks Rick – yup I’m very familiar with the Travelers Century Club! Check out my “Country List” page for more details! Welcome to the blog, and glad you enjoy it!